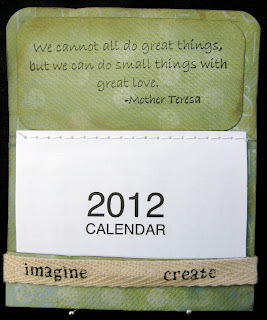 Are you keeping yourself organized with the pocket/purse calendars so far in 2012? If you are, then you've got Stampotique marked in there for the 2nd & 4th Wednesday's of the month for challenges right? 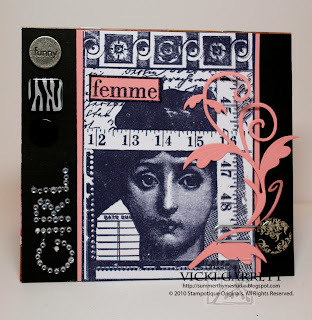 It’s time for another Stampotique challenge and Kate is here as our host this week! January seems to be a time when many of us decide to use what we already have so with that in mind I challenge you all to alter something! 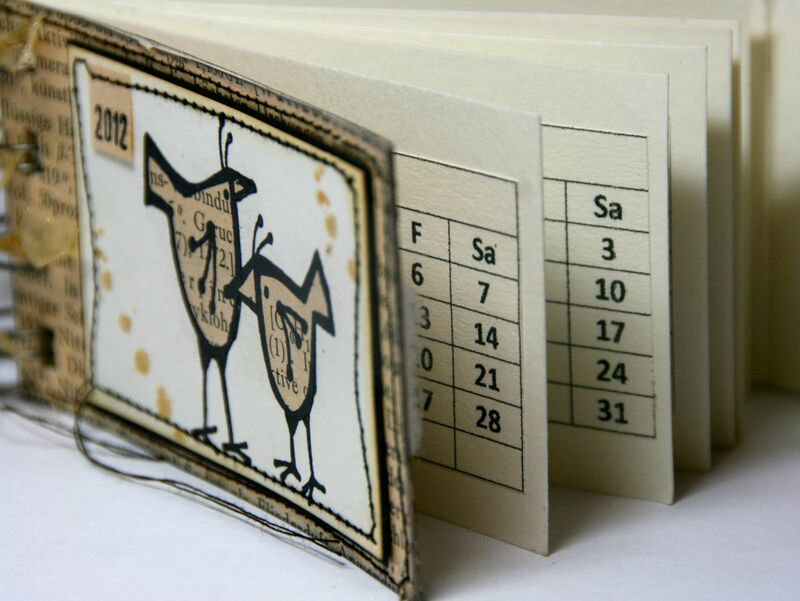 It can be anything from a matchbox to a coaster, an old CD to an empty cardboard box. Have a good hunt around, see what you can find and give it the Stampotique treatment! We will draw a random winner for a $30 gift certificate good for Stampotique Stamps prior to the next challenge. 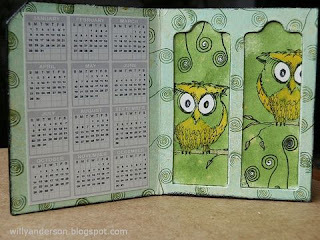 To be eligible to win you must use Stampotique Stamps ONLY and only one entry per person please. We at Stampotique want to send out a special Thank you for our awesome guest designer this month, Laura Liddell. She has shared with us some amazing creations! 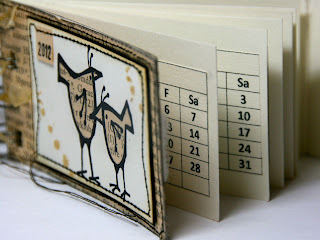 Want some additional chances to win some Stampotique goodies? Join us as we sponsor Gingersnap Creations and Macabre Monday. 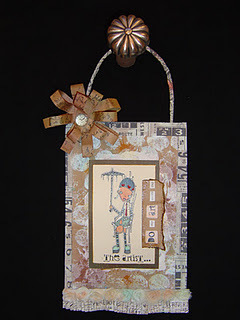 Please link up your Stampotique Designer's Challenge altered item below using inlinkz. 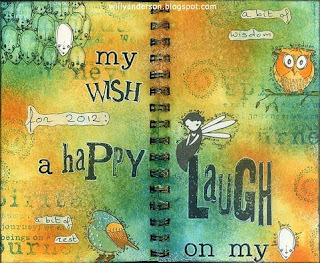 It was great to see what everyone's wish for the New Year is, so many great creations to check out this past challenge! Renee: A very original entry with so many interesting details, love the silver of the stamp and the lart ribbon flower on top. Congratulations to our random winner of the $30 Stampotique gift certificate is #2 Clare. 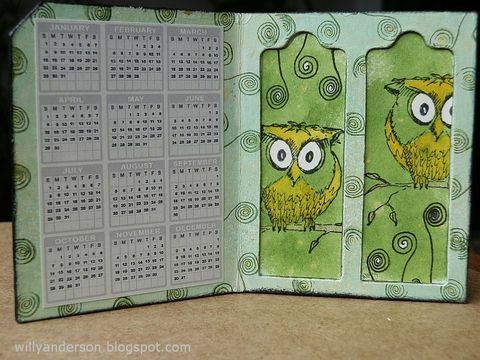 This week Maria gave us the challenge to create a handy pocket calendar or purse calendar. The challenges are now STAMPOTIQUE ONLY (non-Stampotique will be deleted). 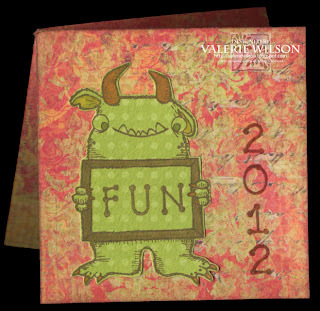 Join us for your chance to win a $30 gift certificate for Stampotique stamps. 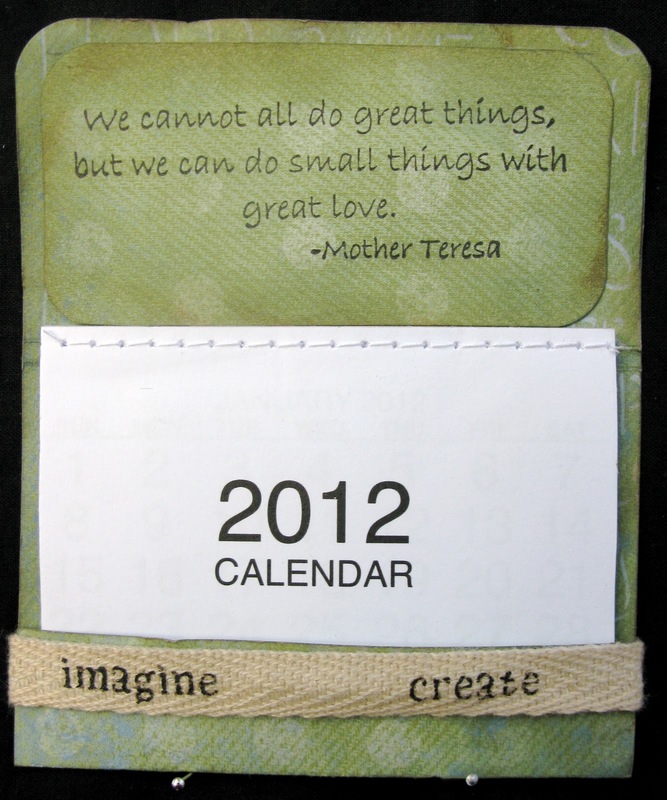 Our team came up with some fantastic creations this week with a variety of different calendar options for the new year. 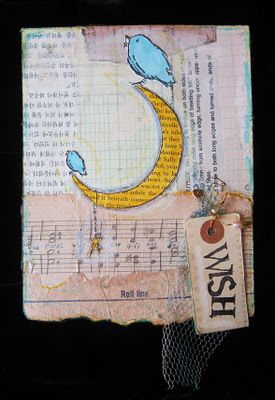 We hope that you will join us for SDC46 and create a pocket or purse calendar by linking up below directly to your creation. Please link only once and no back linking. We will remove duplicate posts, backlinked posts, or any not using Stampotique stamps. You will have until 1/24/11 at 5 p.m. EST to enter. 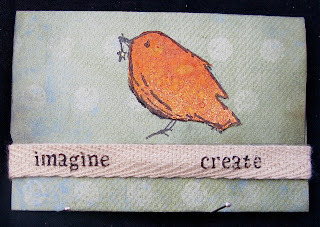 Join us here with your creation, you have until Tuesday 1/10/12 to play along with us. I live in the Forest of Dean in Gloucestershire, UK, with John, my partner of many years and our 2 daughters who are now 17 and 15. I love the area in which we live. It is so beautiful nestled between two salmon rivers, the River Severn and the River Wye. Our home is situated on the borders of Herefordshire and Wales. I feel I am a person with little emotional baggage with a joy for life. I feel I have learned to smell the roses. This saying is on my list for a journal page soon. I have always been creative and before the children were born I designed knitwear and exported mainly to America and Japan. The landscape around me was very much the inspiration behind many of my designs. Taking colours from the every changing seasons and countryside around us. I found a niche in the market for hand knit menswear and sold to many prestigious stores. The colours I used appealed to this market where I would combine up to 30 different yarns together to create a subtle design full of texture. When my first daughter was born it coincided with the markets weakening and deadlines were too stressful with a young baby, so I decided to wind up the business. It was also a relief not to have to create in straight lines anymore, which is the structure of knitting. I came to stamping about 6 years ago. Prior to this I would make up creative projects to do with my children and for my job in family learning. I must admit I love stamping. 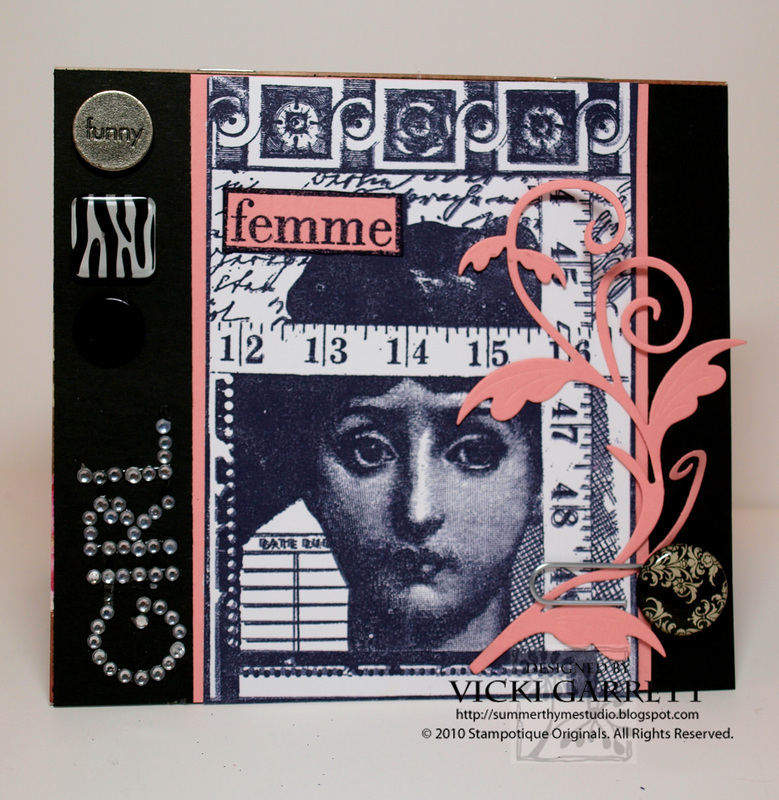 I love how instant it can be and how one stamp can be used in so many different ways. It has opened up so many peoples creativity and made this part of their life accessible. It is the closest thing I have found as an adult to be like playing as child. I love to combine humour into my creations. There are not many days when I do not find time to play. 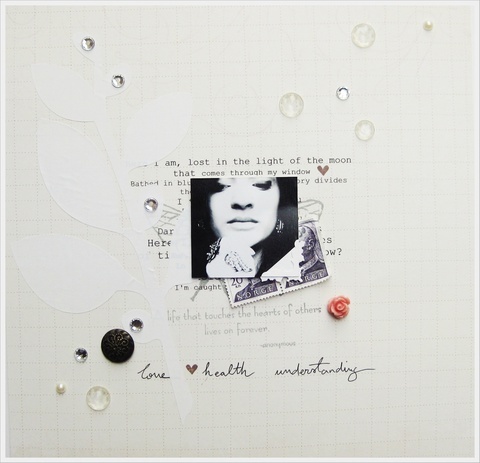 Her creation uses Starbird with Chick 3059 and Peace on your Wings 8875. 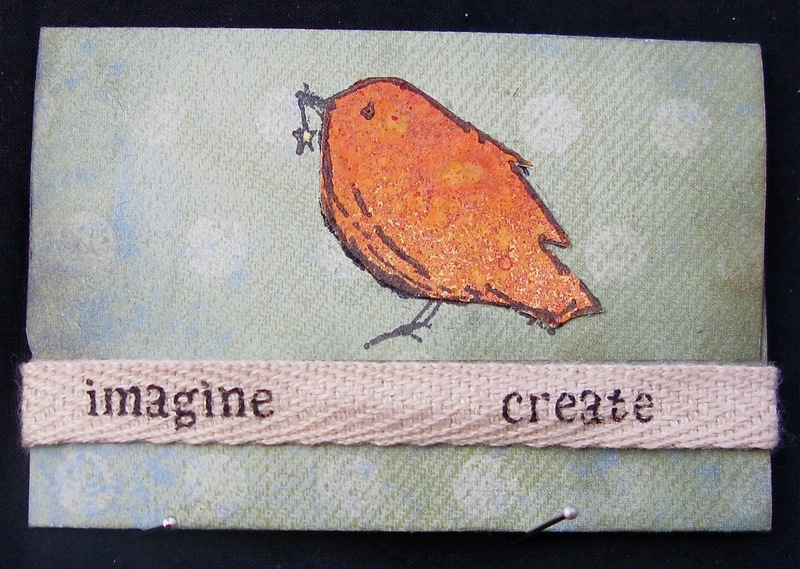 Happy new Year, hope you will join us for our current Stampotique Designer's Challenge here.